Random acts of serendipity occur sporadically throughout life. Maybe you find a rogue £20 in your coat pocket just before heading on a night out, or your ex forgets to change their Netflix password and you can carry on slyly binge-watching Gossip Girl for the hundredth time, or maybe you fall in love John Cusack and Kate Beckinsale style. For Jack Johnson and Jack Gilinsky, their brush with fate happened on their very first day of school. “It was the first day of kindergarten and we were both wearing the same shirt and had the same name,” Johnson recalls fondly. “I think we just gravitated towards each other naturally because we felt comfortable around each other because we were matching stylistically and had the same name. It was just a really weird coincidence, and we felt very drawn to each other.” Flash forward nearly two decades later, and the pair − now both 22 − are still just as tight as on that first day they met. 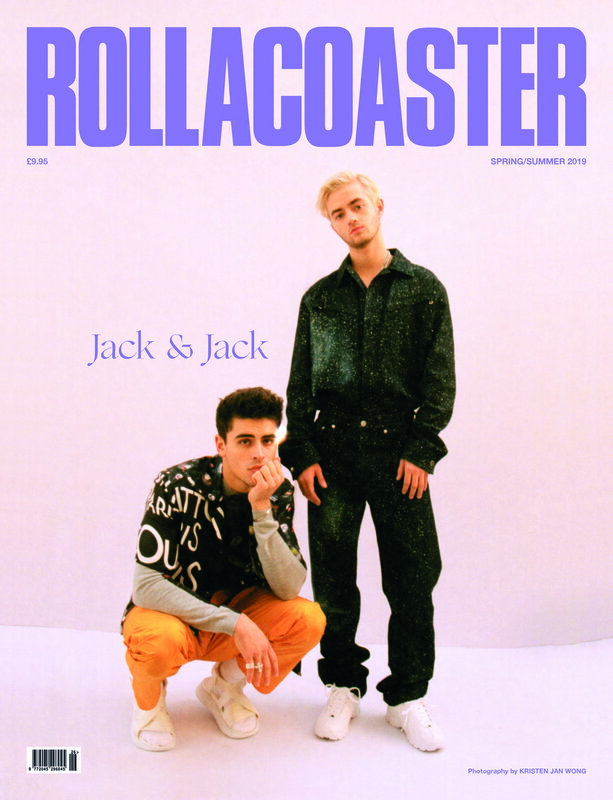 Releasing their full length debut, A Good Friend Is Nice, at the beginning of 2019, the record follows the pair’s time in LA and fully establishes Jack & Jack as a musical force to be reckoned with. Incorporating a mix of genres, the 12-track album highlights their signature pop-rap style, blending big beats and carefree melodies to form an electrifying debut that could ease effortlessly into any night out playlist. I mention how any club would happily oblige to play the dance floor bangers without hesitation, much to Jack & Jack’s amusement. “We should have some extra pull now, isn’t that how it works?” They laugh.